Edwin Edwards, Ex-Louisiana Guv, Leaves Prison For Halfway House : It's All Politics Edwin Edwards, one Louisiana's most colorful and corrupt governors, left prison for a halfway house. He was known for epic corruption the line: "The only way I can lose this election is if I'm caught in bed with either a dead girl or a live boy." Former Louisiana Gov. 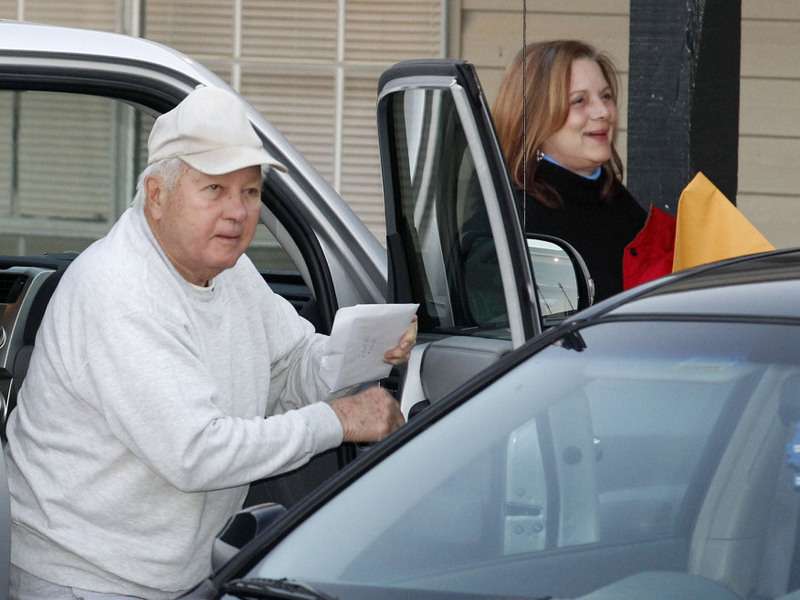 Edwin Edwards arrives with daughter Anna Edwards at the halfway house to finish his prison sentence. Edwin Edwards, the wisecracking and very corrupt former Louisiana governor, was released from prison for a halfway house. At 1:22, Edwin Edwards joked that perhaps "Dirty Rotten Scoundrels" could be the title of his biopic. It was Edwards who delivered one of the most famous lines of political arrogance in American history when, talking of his chances in the 1984 gubernatorial campaign: ""The only way I can lose this election is if I'm caught in bed with either a dead girl or a live boy." Instant classic. Edwards served four terms as governor before his one lengthy term in federal prison. His undoing came when an apparently insatiable appetite for bribes caught up with him in the late 1990s. During a grand jury probe, then-owner of the San Francisco 49ers Eddie DeBartolo told jurors that Edwards had asked for a $400,000 bribe to help him get a casino license. Edwards' defense was somewhat unorthodox, to say the least. Dismissing the idea that he sought a $400,000 bribe as ridiculous, he said: "If I were in a position to extort a spoiled kid who inherited $600 million, do you think I would ask for $400,000? I'd have hit him up for maybe $40 million." Federal prosecutors audiotapes indicated otherwise. Not surprisingly, he was convicted and sentenced to a 10-year federal sentence that began in 2001. Several Louisiana politicians, including former Sen. John Breaux, asked President George W. Bush to pardon Edwards before Bush left office but he refused.